Nepal Disaster Appeal To Help Earthquake Victims !!! 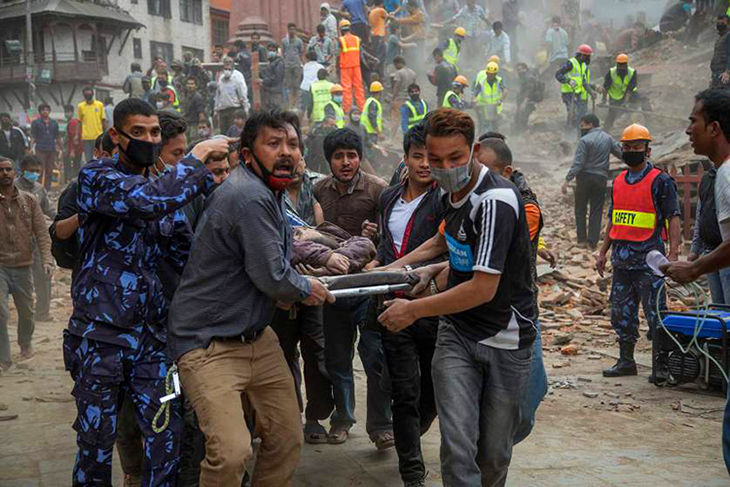 Over 7,500 people have been killed by a massive 7.9 magnitude on April 25, 2015 and 7.3 magnitude on May 12, 2015 earthquake that hit Nepal There is widespread devastation across Nepal. The death toll is expected to "increase significantly" as emergency relief teams slowly reach rural areas. Villages have been the most devastated by the earthquake and many villages have been totally flattened. There were dozens of tremors and aftershocks after the first earthquake, further destabilizing structures and complicating rescue efforts. It is difficult to reach the majority of villages in Nepal even in the best conditions due to the rough terrain and poor infrastructure. On this terrible situation, world is shocked to hear this news, and we "Creative Hands" team extend deepest sympathy to all family who have lost their family members on this deadly earthquake and pray for all Nepalese for their safe life and stay alert as well. We "Creative Hands" want to start a small campaign to support in affected areas who have lost their shelter and food on the affected day. Our small cooperation may be a big support for them on this terrible situation. So, we need support from the various national and international agencies as well as personal who have wide heart and helping hands. We especially want to support for rebuild damaged houses, provide tents, food, medicine (first aid) and clothes which is the basic needs for human life. P.O. Box: 21255, Kathmandu, Nepal.